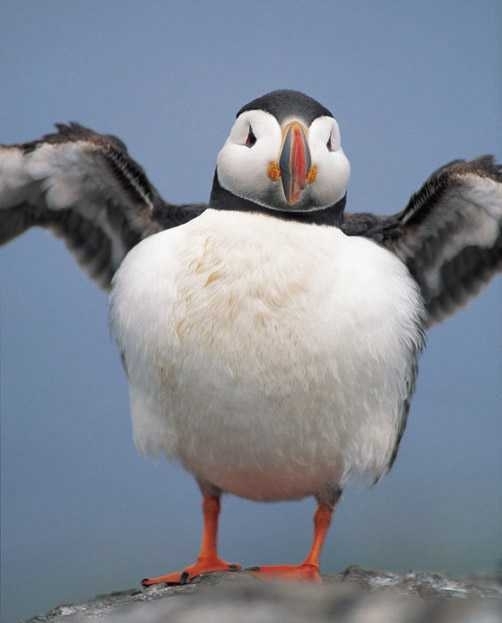 This animal, as you can see, is called a Puffin. 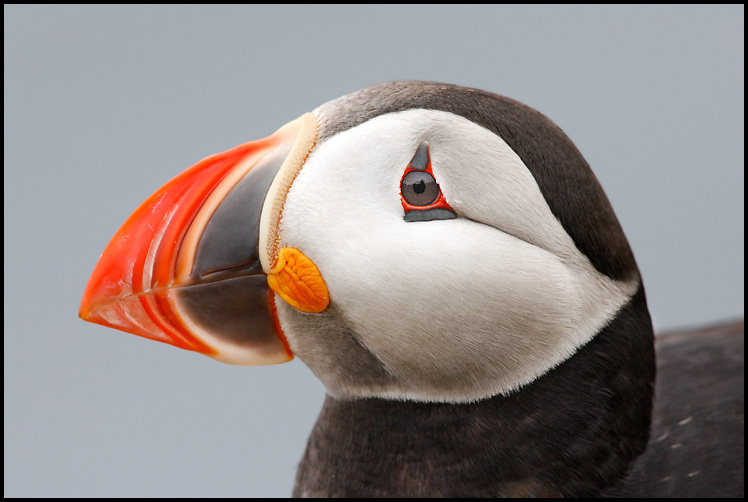 The Puffin’s beak can hold a large number of small fish such as capelin and sprat. When feeding, these striking seabirds gather in large groups, called rafts, a few miles offshore. There used to be over 50,000 puffins in scotland, but now there are only a few thousand because the island they nested on was invaded by a plant called Lavatera. 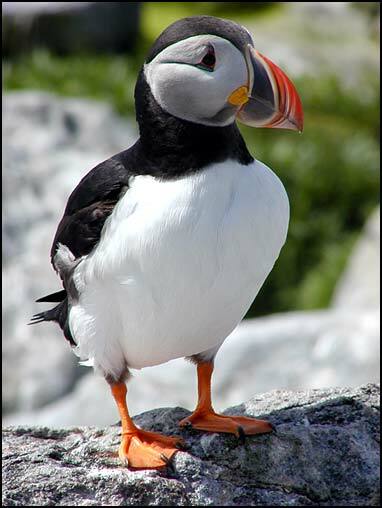 The island of Lundy in the Bristol Channel gets it’s name from the Viking word for puffin because a colony of puffins live there.